There have been a lot of visual spectacle films to come out over the years, movies that simply must be experienced in IMAX. Everest adds to this ever-expanding list in tremendous fashion. In a film with so many big name actors, it’s truly amazing that none of them are the star. 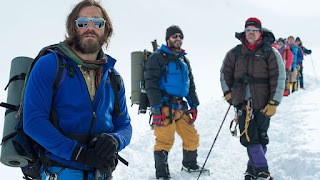 Instead the mountain itself is the star of the film, the focal point for which the story to take place, the dramatic center and ultimately the most interesting part of Everest is Everest itself. The film takes place during a time when guide services were all the rage and Everest was becoming a tourist attraction to those more well off than the rest of us. Among the leaders was Rob Hall (Jason Clarke), a climber himself who strives to keep his customers safe while also working business deals with fellow climbers like Scott Fischer (Jake Gyllenhaal). 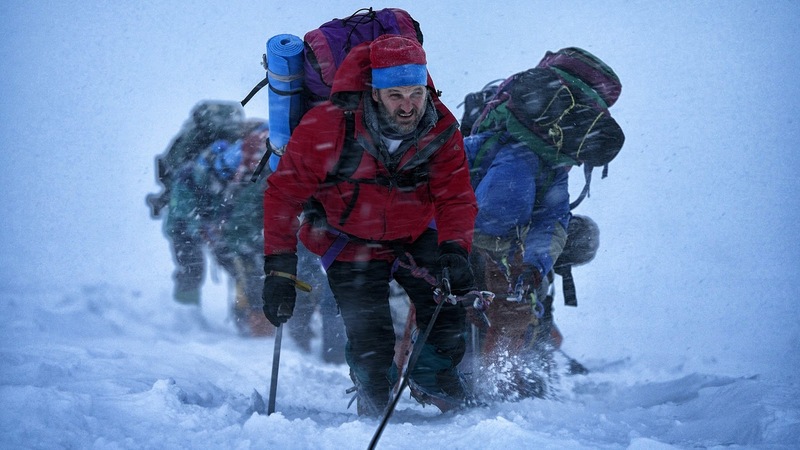 The ascent takes his clients, Beck Weathers (Josh Brolin), Jon Krakauer (Michael Kelly), and Doug Hansen (John Hawkes), to a place few ever reach, but getting down through a treacherous snowstorm leaves everyone in danger. The problem Everest faces is the amount of characters causes them to be thinly stretched. The only character that gets any real character time is Jason Clarke’s character Rob Hall, whose wife (Keira Knightley) is his emotional motivation to get off the wretched mountain. And even so, once the characters get all bundled up it’s hard to tell who is who through all the jackets and masks. So even if characters became interesting, it’s hard to tell if this person is going through this…or maybe it’s that one…or maybe him? Because of the number of characters, no actor is really given the chance to shine or stand out. Each actor is serviceable enough in their roles and does precisely what you’d expect of them. No one offers anything new or spectacular, they just are there to get the story across and conquer the mountain. The film does succeed on the visual aspect of Everest. 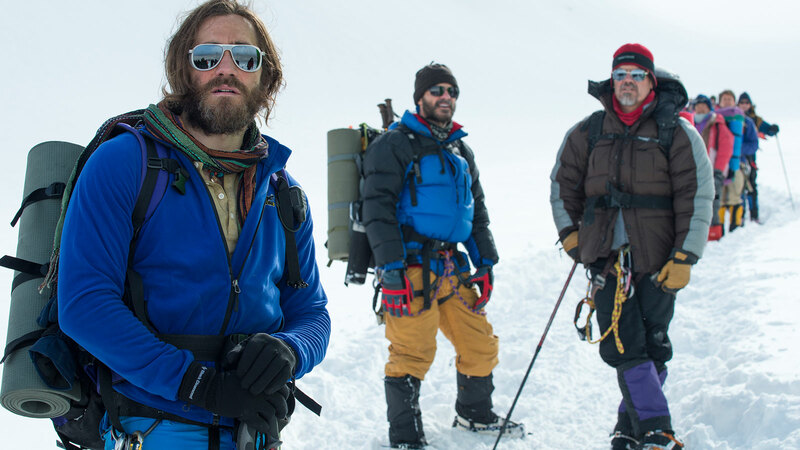 While this seemed to be the goal of the film from the start, Everest provides a gorgeous view of an undisputed mountain behemoth, making the cinematography and sheer scope of the film mesmerizing. The director, Baltasar Kormakur, knows what he is doing with the 3D cameras, framing each cliff, crevice, and perilous peak in a way that showcases the beauty while also being intimating in a way. The drama is undercut at times because the films commitment to maintaining connections to every character. Just when tension is ramping up with a particular character, it cuts to another scenario and often leaves certain scenes, without spoiling anything, left open until the very end. So what did you think of Everest? Have you seen it and when are you scheduling your trip to Everest? Comment below and let me know and as always come back for weekly reviews.